The key question which the judges needed to have answered, when they visited the property, was whether the substantial increase in size to a listed building was justified by the outcome. Their inspection quickly convinced them that it was. The two storey extension at one end fitted in seamlessly, while the single story one, along the back and then wrapping round the corner, worked extremely well. At the back it has been kept deliberately low-key, and its impact minimised by the fact that the house is set into a bank, so that the extension faces a retaining wall formed of railway sleepers set horizontally, to very good effect. 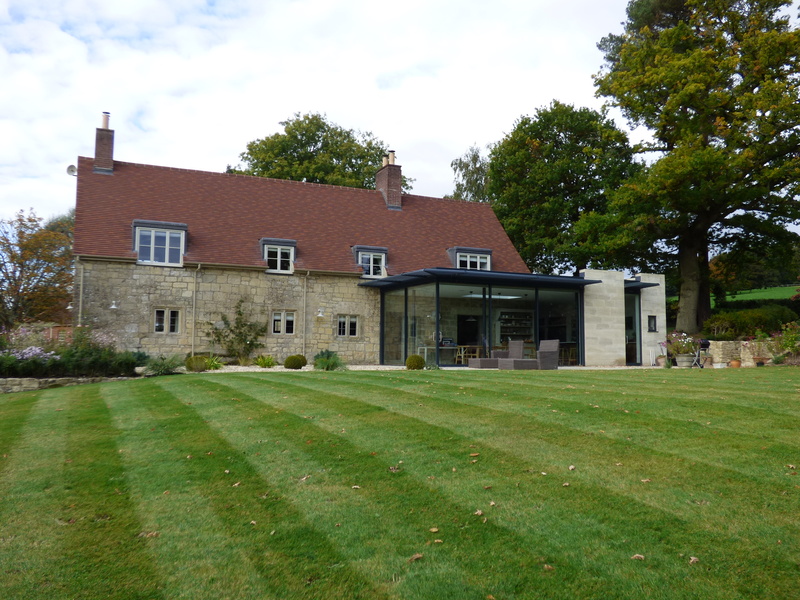 At the corner the extension becomes more prominent, and develops from simple render to stone with large expanses of glass, and nicely detailed louvres at eaves level. This works well from outside, and exceptionally well internally, with the original stonework of the house unobscured within the new glazed space, and doorways which were once external stripped of frames, and left as simple penetrations to enable an easy transition, both physical and visual, between house and extension. The effect was applauded by the judges as a major enhancement of facilities which left the original house fully readable, and in no way compromised by the contemporary form now added to it. The care taken in combining different styles of extension for different parts of the project was felt to have produced a very successful outcome.